Pom-poms are so much fun. They appear to float in the air, adding a cheery atmosphere to any event. Perfect for a rehearsal dinner, birthday party, bridal shower, or casual reception. 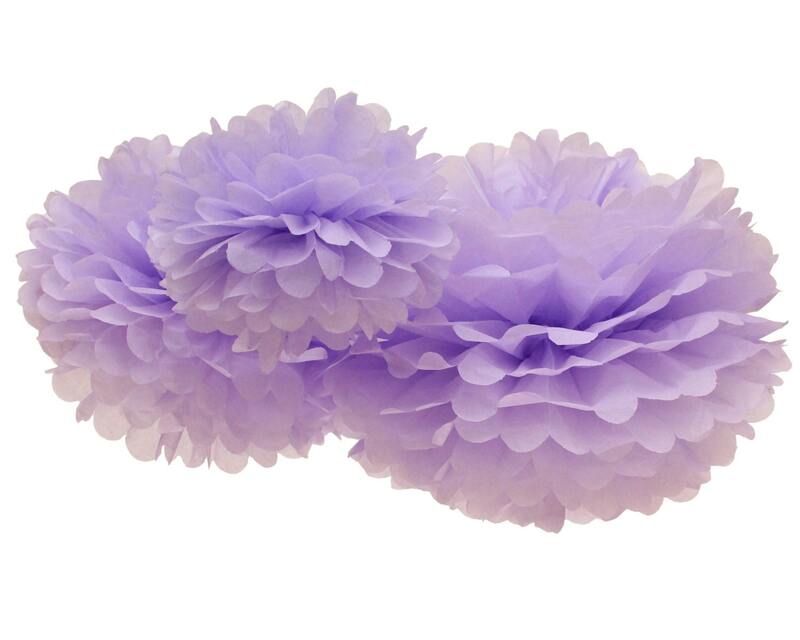 We carry over 30 different color of tissue paper pom poms. You are sure to find the perfect paper pom poms at Eve's Party Market.